How to use から for Reason? I know kara in Japanese can mean "from" as in from/to. How about the meaning for "reason"? 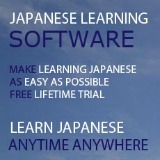 How to use it in a Japanese sentence? Please explain. Thanks. 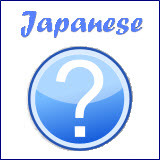 Hi Katherine, から (kara) with the meaning of "from" has been mentioned in Japanese time expression in basic Japanese lesson 10. The から (kara) in the above sentence pattern is referring to the reason stated in sentence 1 and therefore the result happened in sentence 2. 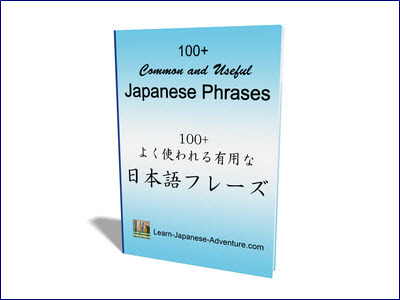 For this sentence pattern, it can take polite style or plain style in front of から (kara). The meaning is the same for using both styles except that using polite style sounds slightly more polite than using plain style. If you have to speak to customer or your boss, choose the polite style. However, for most situations in daily conversation, plain style should be ok. Meaning: I like movie, therefore I am watching DVD every night. Meaning: Today is my wife's birthday, therefore I will buy flower. Meaning: I didn't understand Japanese, therefore I didn't watch TV in Japan. Intermediate lesson 20: Japanese Grammar for Cause and Reason. Comments for How to use kara in Japanese for reason? 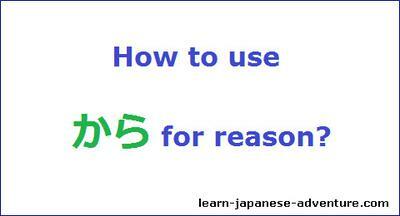 Another Japanese term for "reason"
There is another term ので (node) which has similar meaning with から (kara). I will probably cover it in future lessons. As promised, here is the link to the lesson on ので (node), which has the similar meaning as から (kara). Japanese Grammar for Cause and Reason - ので (node). Hi! I just didn't understand one thing... when to use "DA kara" and when to use only "kara". Can you say more about this? Thank you! That depends on what did you connect to から. If i-adjective/verb (plain-form present affirmative) is connected to から, you don't need だ. If na-adjective/noun (plain-form present affirmative) is connected to から, you need だ. Very good summary, like it a lot.